People watch movies. Collectively, we spend millions, and I mean millions, of dollars on movies every week. We go to the theater, and when we really like the movie we buy it when it gets released on DVD so we can watch it again. Those DVDs come with a lot more than just the movie on them. Some have games, interviews, deleted or extended scenes, alternate endings, and–of course–the gag reel. But most DVDs also include some form of a commentary track, a feature that simply adds a soundtrack to the film with remarks from select individuals involved in its production. Personally, out of all the movies I own and love, I have never re-watched a film in its entirety with the commentary turned on. However, OMG Lists thinks that I should. They’ve put together a list of “5 Fantastic Movie Commentaries” that we should all be sure to watch (best part: it’s spoiler-free). 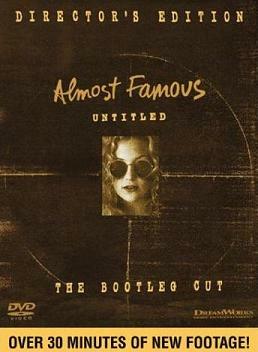 Almost Famous sits comfortably at the top of the list, in large part to Cameron Crowe and the stories he shares about on-set antics. They also cite Paul Thomas Anderson’s commentary for Boogie Nights because, well, it’s one of the few that he has actually recorded for his films and he gets pretty personal. To read more about the movie commentaries that you should be watching, read the full article here.